This February, we’ve got webinar news you’re going to love! 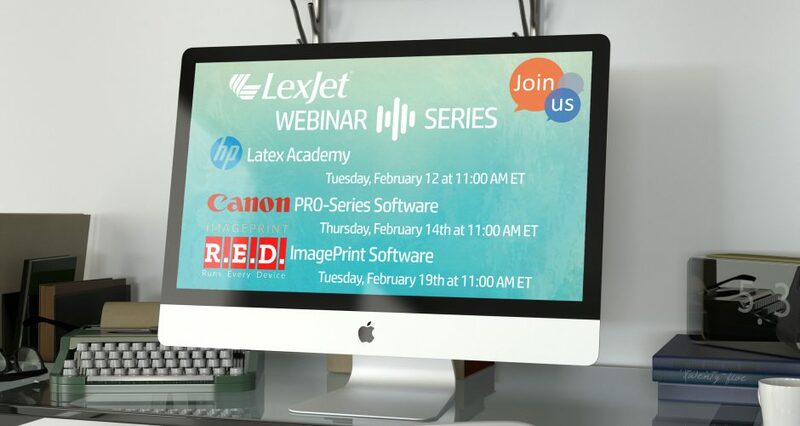 We have added an ImagePrint session for information on the latest workflow efficiencies: you will hear from our Canon expert about free software options for Canon customers and HP’s leading Latex specialist discusses the benefits of latex technology. Don’t forget, you will receive additional savings when you purchase a qualified printer. Space is limited, sign up today. Sign up online or call one of our printer specialists at 800-453-9538 for more information. Last year, printer maven Michael Clementi discussed the things he learned while working with the EPSON S-Series printers since their release; however, one question is still commonly asked: “Which one is right for me?” The answer depends upon what you want to get out of your printer, so we’ve put together a quick summary of how each of these printers fit into a typical workflow. Need: General Purpose – The SureColor S40600, with its 4-color system (CMYK), is perfect for mid volume, quick signage. 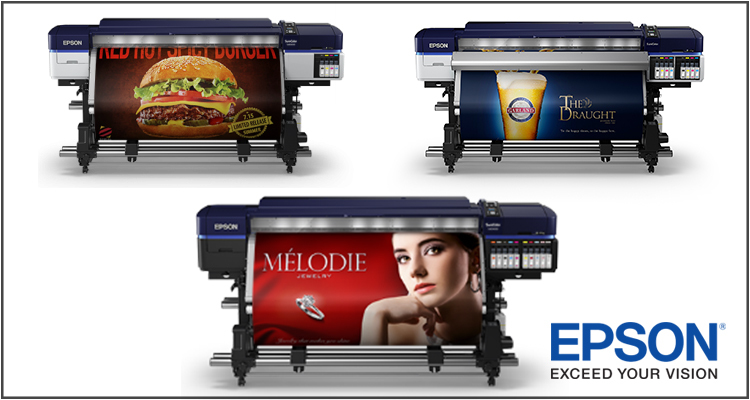 The ink durability has improved over previous EPSON solvent printers and can provide quality banner graphics at 215 ft2/hour or adhesive vinyl turnaround at 170 ft2/hour. Clients who need crisp, clear images, but don’t require color critical graphics will be pleased with the results from the S40600. Need: High Volume and Speed – The SureColor S60600 is a dual channel 4-color system (CMYK x 2) that excels at speed. With production banner graphics created at a lightning fast 550 ft2/hour and production banner at 310 ft2/hour, the S60600 is the workhorse of the trio. Need: Photographic Image Quality – The SureColor S80600 offers a 9-color system with an option of White or Metallic Silver. It boasts one of the largest color gamuts offered for photographic images in the solvent printer market, and with 98.2% Pantone coverage, you will be able to meet the needs of clients who have color critical needs. It is important to note that with the quality capability of the S80600, the output is slower than that of the S60600. Each of the EPSON S-Series printers allow for same-day lamination, which means you save production time because there is no need to wait for the inks to outgas, as is typical of most solvent printers. If you still have questions, call one of our LexJet specialists at 800-453-9538, and they will help you find the right printer for your business needs.